Sep 13, 2014 — by Daniel Whiteman D.M.D. Here at Whiteman Dental Associates in Brookline, we've used porcelain veneers to address the dental care needs of many patients. Porcelain veneers are such a versatile and effective cosmetic dentistry treatment that some have nicknamed them "instant orthodontics." We want to use this blog post to go over the basics of porcelain veneers and why they have achieved such resounding acclaim from dental health professionals. We'll also take a moment to see how instant orthodontics stacks up against traditional orthodontics. 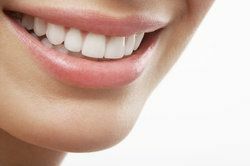 Also known as dental veneers, porcelain veneers are thin shells of specially crafted dental ceramic that are designed to fit on top of the front portion of the teeth. When in place, porcelain veneers are able to mask aesthetic imperfections from view, making a persons' smile look great. Why are porcelain veneers called "instant orthodontics"? Porcelain veneers have been nicknamed "instant orthodontics" by some dental care professionals because the results are so good that it makes patients appear as if they've undergone orthodontic treatment with braces. Indeed, in just two dental visits, your smile can be dramatically enhanced with porcelain veneers. Are the results of porcelain veneers that dramatic? The secret is the composition of the porcelain veneers themselves. The material is semi-translucent, which means that light passes through the teeth slightly much like natural tooth structure. When in place, the porcelain veneers allow some light to pass through them in such a way that the veneers are completely indistinguishable from your natural teeth. This is why it may seem like you've undergone orthodontic care when in reality you just have veneers in place. The question now becomes whether you should just get porcelain veneers or undergo actual orthodontic treatment. While instant orthodontics is great for some, that shouldn't detract from the need for traditional orthodontic treatment. Sometimes patients suffer from major issues with tooth misalignment or malocclusion. In such cases, a full orthodontic treatment is more ideal for achieving optimal health. When malocclusion is severe, the crooked teeth can lead to dental pain as well as bruxism (tooth grinding). Left untreated, this can result in serious dental health problems, including TMJ disorders. So long as a person's dental problems are predominantly aesthetic, porcelain veneers are a more ideal solution. When the person's dental problems affect general health and wellness, the more ideal option is orthodontic care or restorative dental care. The best treatments for patients are always custom tailored to their needs. In order to find out if you are an ideal candidate for porcelain veneers or if traditional orthodontics would be better for you, it's important to stop by the practice for a consultation. We will be more than happy to go over all of your options for care in much greater detail and help you undergo the best possible treatment given your needs. For more information about porcelain veneers and how they can help you get the smile of your dreams, be sure to contact our cosmetic dentistry practice today. The entire team at Whiteman Dental Associates looks forward to meeting you in person and helping you make the best possible decisions when it comes to your overall dental health.